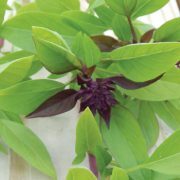 The Valentino Basil is a tasty and fragrant, large leaf basil variety that is perfect for adding into sauces and dressings. This basil plant can reach 15″ inches high and 10″ inches wide. 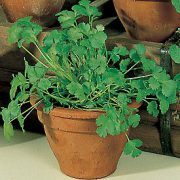 Herbs grow quickly and are easy to grow in pots on a porch if there is limited garden space. Basil comes in many different options with flavors from sweet to spicy. Before Planting: Basil grows best in warm weather, and basil seeds should be planted after all dangers of frost have passed. Planting: Plant seeds 1/4 inch deep and 12 inches apart. Seeds can be started indoors to get a head start on growing the herb. Plant indoors six weeks before the last frost date and place in a sunny windowsill. 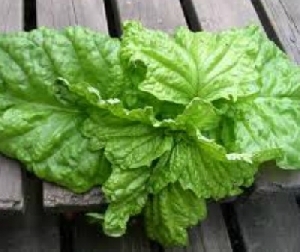 Plant in moist soil that is well-drained. If planting in a container, use a larger pot to prevent plants from drying out in the summer heat. Watering: Water Basil frequently during dry periods. 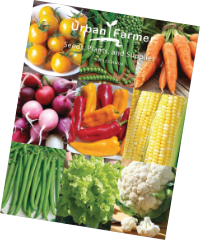 Fertilizer: Upon planting, add organic nutrients to the soil such as compost, blood meal or cottonseed meal. Feed with liquid plant food every few weeks to encourage growth, but be sure to not use fertilizers that leave a harmful residue since you will be consuming the leaves. Days to Maturity: Basil leaves can begin to be harvested once the plant is 6 to 8 inches tall, typically 60 to 90 days after planting the seeds. Harvesting: Picking leaves regularly encourages more growth. 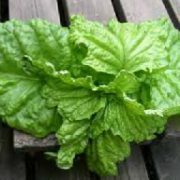 Harvest the leaves by pinching them off of the stem, and always harvest from the top of the plant. Basil can be frozen to preserve its flavor, used fresh or dried. Tips: The biggest threat to a basil plant is root rot from poor drainage, so ensure the planting site has adequate drainage. Also, watch out for pests such as aphids, slugs or Japanese beetles.